Feeling committed to making this year better than the last? You’ve probably got your personal goals all set for the new year: read more books, call your mom, eat less pizza, walk off that holiday pie. How’s this for a New Year’s Resolution: build a successful website from the ground up. Sounds like a lofty goal, but trust us, kid: you’ve got the makings of a champion. Building your website is like running a marathon. Those exhausting 26.2 miles require long-time endurance built over months of training. Marathoners train one step at a time and compete one mile at a time. This guide is your training plan. As your trusty web host and coach, we’re here to keep you on track as you build, grow, secure, and promote your new site. We’ve broken this website workout plan into goals and tasks to complete each quarter throughout 2019, but feel free to work at your own pace. You do the sweating, and we’ll be right beside you with water cups and cheese-tastic motivational signs. Sound good? Then tie up your Nikes, pull on your gym shorts, and let’s get to work. Ready to race right off the starting block into building your website? We love the enthusiasm. But before even reaching the starting line, you need to get in some warm-ups and conditioning to establish a solid foundation. Every good website begins with a thoughtful plan. Open a fresh new digital doc (or grab a pen and paper if you’d prefer to go old school) and complete the following exercises. Are you looking to sell a product? To share your art or writing portfolio? To share your thoughts on a blog? To promote your new business? Create an online home for your brick-and-mortar store? The possibilities are endless — but you need to spell out what you want and who your target audience is. Write down what you decide; you’ll use this purpose to guide everything else you do this year. Time to dive deeper into the reflecting and set some specific goals for your website. Grab your pen (or ready your typing fingers) and, below where you wrote your website’s purpose, jot down a few goals. Think about things like how much revenue you hope your site generates, number of readers, number of website visitors, increase the number of customers in your store, build your brand, or engage with an audience. These goals should accomplish your website’s purpose and drive the rest of your plans. Don’t lose sight of your finish line — and don’t be afraid to adjust your goals over the coming months. Start with your website’s menu. What should its offerings include? And in what order? Rank what’s most important to you — and your goals — at the top. Do you want to include a blog? This will be helpful for search engine optimization (SEO) — more on that in a minute — encourage engagement and community, build your reputation, and establish you as an expert. If the blog is the cornerstone of your site, take some time to outline (or, for overachievers, write) your first few posts and plan some topics you might write about over the next year. The about me page is your place to tell your story and describe your business. Don’t skip out on this chance to connect with your customers. Do you need a spot to describe the products or services you’re selling, either online or in your physical store? If your objective is to drum up business directly from the web page, this is essential. Think about categories and subcategories of products, and consider how you might describe or sell them to your website visitors. What is included on the homepage? Your contact information? Maybe, although that could easily be its own page. A memorable photo? Definitely. Another home-page must-have? A call to action (CTA). Your CTA should invite visitors to do something: check out your offerings, sign up for your newsletter, or delve into your blog. Ready. Get set. We are inching closer to launching your website, but before we can get going, it first needs a name, an address, and a place to live. 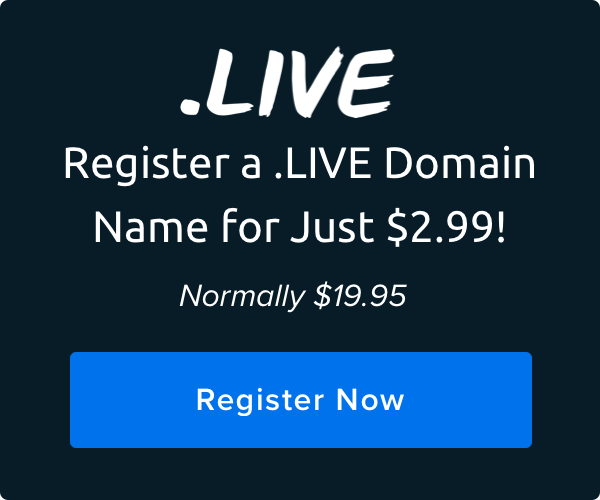 The top-level domain (TLD) — In dreamhost.com, the “.com” part is our TLD. More common TLDs include .net, .org, .info; and recently, a batch of new TLDs hit the streets: .party, .site, .pizza, .limo, .store, and more. At least for now, though, “.com” is still the most common TLD. The second-level domain (SLD) — In our domain name, that’s “dreamhost.” This is the keyword that will serve as the address for your website. Make sure it is specific, descriptive, and memorable so that customers can easily find and remember it. Jot down a dream domain and see if it is available for purchase. If you can’t find (or afford) your first-choice domain name, we’ll help you find other great options. If your domain name is your website’s address, hosting is the physical space (spoiler: a server) where your website lives. The hosting plan you choose for your website will impact many things — like how fast your site loads and what kind of maintenance you have to do. DreamHost offers several great options to cover a variety of web hosting needs (not that we are biased about this at all, ahem). For beginners, we recommend shared hosting. It is affordable, fast, and meets the needs of any basic website (and includes a free domain registration!). You can always upgrade as your website grows. We make sure your website is fast, secure and always up so your visitors trust you. Plans start at $2.59/mo. To build your website, you’ll need to pick a platform — and there’s no content management system (CMS) better, in our opinion, than WordPress. And 75 million websites agree with us. Like any powerful tool, there is a learning curve to WordPress, but the open-source software is free to use and pretty beginner friendly. As great as WordPress is, it isn’t always the best solution for every website. Website builders are an even easier way to get online. If you want an even easier way to get online, check out Remixer — our click-to-edit site builder. You can get a website online in literally minutes with our pre-designed themes. No website developer needed. For the rest of this article, we’ll focus on WordPress since it makes it easier to add a blog or e-commerce functionality down the road. OK, with a set of goals; a content outline; and a domain, web hosting, and platform picked for your new website, it is finally time to get building! Head over to DreamHost’s WordPress hosting page, pick the plan that’s right for you, install WordPress, configure your settings, and start building your website. Pull out the list of goals and content outline you made in step one, and use it to guide you in choosing a theme that matches your brand. No, you don’t need to become an expert overnight. And never fear: those WordPress themes we just mentioned are beautiful and will save you from major design blunders. But here are a few basic pointers to keep in mind as you get started in designing your site. Keep things quick and straightforward — From blog posts to homepage copy to navigation options, think short and sweet. Keep your menu front and center — Keep it easy to find or risk losing visitors. Mind your typography — What you say matters as much as how you say it — and what it looks like. Pick a color scheme that matches your brand — Color communicates, so pick ones that fit the ethos of your website. Make it accessible — Expand your audience by make sure your website is usable by everyone, including individuals with disabilities. If you don’t have the skills (or time to learn the skills) to design a website—and wiggle room in your budget—consider hiring a professional designer to help you out. Go ahead. Send your website out into the world. Take a quick victory lap — you’ve earned it! But don’t lose your momentum; the work has only started. So now you have a website. Yay! Time to beef it up with some strength training. That’s right. Once your site is up and running, turn your attention to attracting more visitors and bringing in some income. Ready to bring in the big bucks? Let’s get you set up. Review your offerings — Take a look at the products and service you are selling. Is there anything else you can add, especially to entice back past customers? Have you thought about adding an online course or premium for-pay content to your blog? Add some ads — Include a bit of subtle, tasteful advertising on your WordPress blog to bring in some additional revenue. Affiliate links — Incorporating affiliate links on your blog or website is another way to add to your revenue stream. Basically, you’ll promote another brand’s product and provide links to their site. If your readers click and make a purchase, you’ll get a cut of the sale in thanks for your referral. Investigate e-commerce solutions — How are you planning to sell and accept payment on your website? You’ll need to get that squared away before promoting your website. If you’re using WordPress, we recommend Woocommerce (so much so, that we’ve even got hosting just for Woocommerce users). Study up on the world of e-commerce and pick an online payment gateway. Once your site is built and prepped to be monetized, you are ready to reel in the traffic with SEO. SEO is a group of strategies website owners can (and should!) use to appear closer to the top of the results on search engines. Brainstorm keywords relevant to your site — What search phrases do you think (or hope) would most likely lead readers to your website? Use Google’s Keyword Planner to research and discover new keywords. Optimize your blog posts — Plan content around these keywords and make sure to use them in your posts and headings — but be careful and creative with your placement to avoid creating content that sounds forced. Keep it fresh — Regular updates and new content will give you a search-ranking boost. But don’t be afraid to freshen up and repurpose old content. 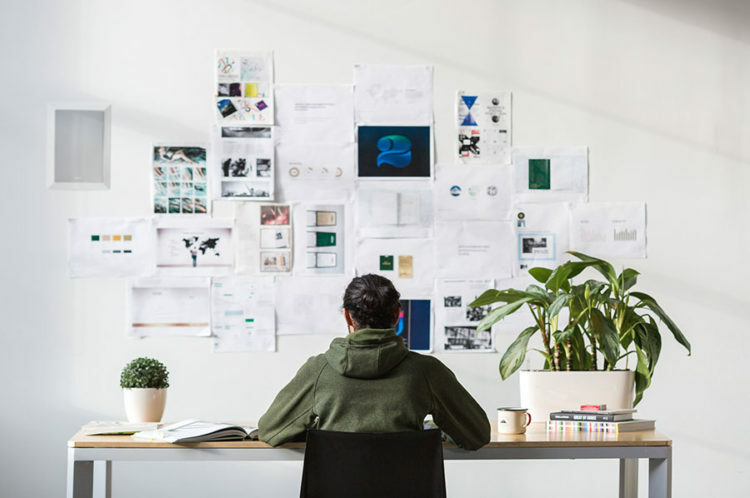 Create a sitemap — Sitemaps, which are basically a hierarchical list of all the pages and content on your site, help Google’s search engine crawlers see and connect the pages on your site, making it easier to present relevant information in search results. Now that your site has been up and running for a while, it’s time for some spring cleaning. Let’s make sure your website is up to par and easy to access for all your potential customers. Review and edit website copy and high-traffic blog posts. Update contact information and your “About Me” section. Test functionality of forms and checkout. Think about your user experience. How can you make it better? Review your hosting plan — are you ready for an upgrade? Take a look at how your site looks on the small screen. If your website isn’t optimized for mobile — that is, if it doesn’t look as good and load as fast on mobile devices as it does on a computer — you’re missing out. Responsive design matters in 2019. Many potential customers use phones or tablets in place of a home computer, and some shop on the go. Plus, your Google search rankings could hurt if your website isn’t mobile-friendly. Pull your website up on your smartphone, and make any necessary changes. Page views — At a glance, this stat will reveal your most popular pages and posts in the past day, month, and year. Unique visitors — Using IP addresses, Google Analytics will track how many unique visitors your site attracts. Bounce rate — Sometimes visitors will click away from your site after viewing only one page; this stat will let you know how often that dreaded “bounce” happens. Session duration — When someone visits your site, how long do they stick around? Check this number for the answer. Traffic source — You might suddenly see an increase in traffic to a particular page, and Google Analytics will help you pinpoint what link is sending the visitors. Studying these statistics will help you find changes to make to draw more visitors and encourage them to stay longer (and hopefully make a purchase). Time to work on endurance: you want your website to stick around for the long haul. Now it’s time to beef up your security practices and protect your data. When it comes to security, you can rest easy at night: you’re already on the right track to keeping your information and customer’s data safe with WordPress and DreamHost. But there are a few additional steps you can take to tighten up security. Switch to HTTPS — The “S” in HTTPS stands for “secure,” and it is (surprise) the more secure version of HTTP, encrypting your data as it is transferred from your website to a user’s browser. Add that all-important “S” by getting an SSL/TLS certificate (offered for free with all DreamHost hosting plans). Enable a firewall — You probably have a firewall on your computer, protecting you from unwanted attacks. And, if you’re one of our customers, lucky you: DreamHost includes a built-in Web Application Firewall (WAF) to offer your website similar protection. Use two-factor authentication — This will require you to sign in to your site with a code that’s first sent to your mobile phone. While it can be a bit of a hassle on your end, this step goes a long way in keeping your site secure. Use a WordPress plugin like Two-Factor Authentication. Backup your site — Hackers gonna hack. Even with all your efforts to secure your site, security breaches and other disasters are still a possibility. So make sure to regularly backup your website. That way, if the unthinkable happens, you won’t lose all of your digital property. Scan for malware — Hackers can really mess things up for your website by installing malware, which can mess with the code and steal secure data. Scan your site regularly to make sure it’s clean. DreamHost customers can sign up for DreamShield, an add-on that will automatically scan your site for malware. Pick a strong password — Don’t make it easy for just anyone to walk into your digital front door; choose a password that is long, uncommon, and used only for your website. Installing a caching plugin for faster load times — The “cache” is where your computer stores recently used information, such as the files of a recently visited website. A caching WordPress plugin pulls data from the local cache instead of reloading it fully every time, thus speeding things up. Optimizing your images — High-res photos can take an extra-long hot second to load, but there’s no need to sacrifice quality. Testing your speed — Even if it seems like your page is loading normally, get in the habit of regularly testing your speed. Simply type your URL into Google’s PageSpeed insights for a quick analysis and tips to get a faster score. Don’t feed the trolls — This is rule No. 1 when it comes to trolls. Don’t engage; it will just feed the fire. Understand the difference between trolling and disagreement — Not everyone who disagrees with you is a troll — usually they are legitimate readers with a different viewpoint. Feel free to defend yourself and your arguments, and be open to changing your mind — and to reminding aggressive commenters to play nice. Establish a commenting policy — Spell out for your readers how you expect them to behave, what the consequences are for violations, and make clear that trolls are not invited to the party. Block or delete — If a trolling post gets too out of hand, don’t be afraid to step in and shut it down. Congratulations! You’re officially three-quarters of the way through this marathon [splashes water on face]. Don’t lose that momentum; continue strong and steady to the finish line. Think of all the orange slices awaiting you. To get there, your next task is promotion. A good SEO strategy will organically move you to the top of the search results. With Pay-Per-Click (PPC) ads, you’ll take matters more into your own hands by paying to land atop the searches. The best part? You only have to pay for premium placement if someone clicks on your link. You choose the keywords you want to bring up your ad, and you can set and limit your own budget. Facebook is a well-oiled, data-collecting machine, and you can use its power to target advertising directly to your ideal audience. You can create a Facebook ad that reaches users based on specific info such as age, gender, interests, etc. As with Google Adwords, you’ll set a budget and pay for clicks. Get on Instagram and leverage your feed and stories for some great free advertising for your brand. Follow this guide to narrow down which social networks you should use for your business. Email is one of the best tools you have for finding new customers, bringing back previous ones, and maintaining relationships. Study up on email marketing, a tried-and-true marketing method that involves collecting email addresses as a way to share content and build relationships with current and potential customers. You can’t send any mail if you don’t know where it’s going. But don’t be spammy and shady about it; create opt-in forms directly on your site inviting visitors to subscribe. Try offering something in exchange for an email address, such as a discount off a first purchase or access to a free ebook. Email newsletters remain one of the best ways to connect with your customers, so create one and make it the center of your email marketing strategy. Use it as a way to showcase your voice and your brand, share news and upcoming events for your business, and introduce new products (but don’t be too pushy). Send it out regularly, loaded with fresh content, and then solicit feedback. Beyond a newsletter, what other types of emails will engage your customers? Always send purchase receipts and make sure to welcome new subscribers. Consider reaching out to past customers to announce sales, share discounts, and invite them back to the fold. You’ve made it to the finish line! You’ve worked hard, and your website is certainly one to be proud of. Now, hit the showers, champ.